The Pleasanton Unified School District was the recipient of a School Climate Transformation Grant from the U.S. Department of Education's Office of Safe and Healthy Students (OSHS). The funds are being dispersed over the course of five years (2014-2019). Per the grant requirements, funds are being used to guide the planning and implementation of Positive Behavior Interventions and Supports (PBIS) at all school sites. 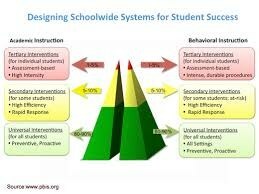 PBIS stands for Positive Behavior Interventions and Supports. 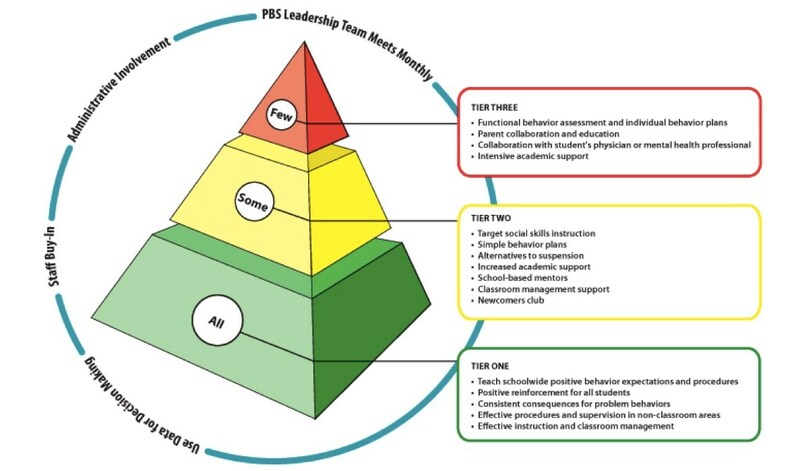 PBIS provides a multi-tiered system of supports for school sites to organize evidence based behavioral interventions into an integrated continuum that enhances academic and social behavior outcomes for all students. Research has demonstrated that the social culture of a school matters. Schools should provide a continuum of supports that begins with the whole school and extends to intensive, wraparound supports for individual students and their families. The 2014-15 school year was designated as a planning year for training and implementation of Tier one interventions for elementary schools in the following year. Activities involved in planning included the hiring of grant-funded personnel including a PBIS Coordinator, and two School Social Workers, as well as developing two district level PBIS teams. The PBIS Implementation team, and PBIS District Leadership Team. These teams met monthly to review the PBIS implementation blueprint and develop plans for the 2015-16 school year. Once in place, school site teams focus on reviewing patterns and trends of school-wide student behavior. Proactive and preventative approaches are then discussed, and actions plans for supporting students with their social, emotional and academic success are developed. The 2015-16 school year also serves as a planning year for the secondary schools (middle and high schools). Training and implementation of Tier one interventions with site based teams for all six secondary schools will occur during the 2016-17 school year. District level implementation and leadership teams continue to meet regularly to discuss systemic PBIS implementation.